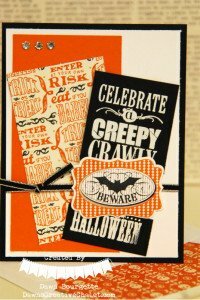 Celebrate A Creepy Crawly Halloween! The card says it all! This is a fun set! C’mon over to my Halloween Bash! We have been having a celebration of Halloween for over a week and I’m having a ball! I hope you are enjoying the projects, too! I got the layout idea by Mary Fish but I wanted to use a few different patterns of the Witches Brew DSP (that is, designer series paper). If you look closely, you will see that I cut that black piece so it appears to be longer than it really is. 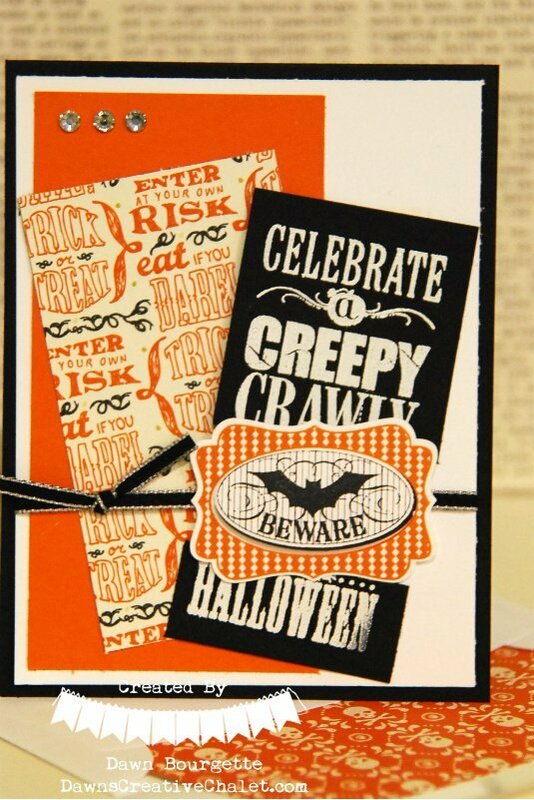 I cut it between the words “crawly” and “halloween” and I layered the punching between it and make it look just a little longer. Now, let’s see you make some Halloween goodies!